New arrival of candlesticks by Ivar Alenius Bjork for Ystad Metall. These are all original and have the designers' initials on the underside. 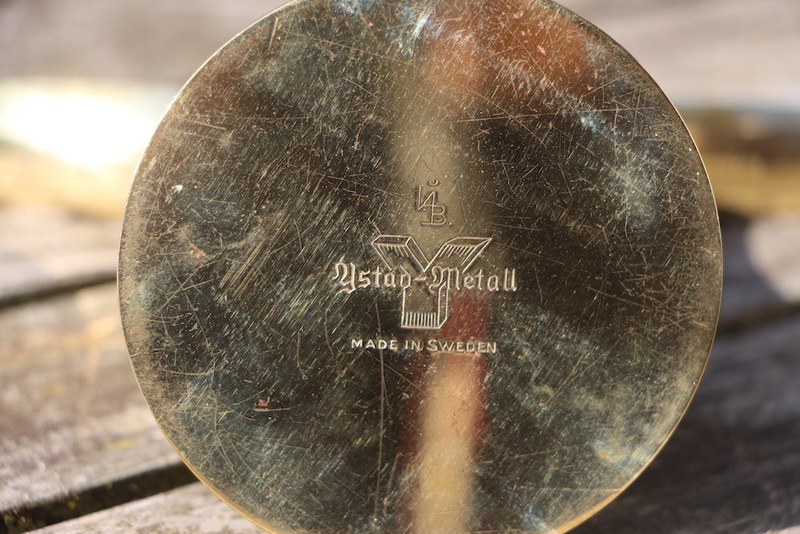 Also Ystad Metall's logo is present. 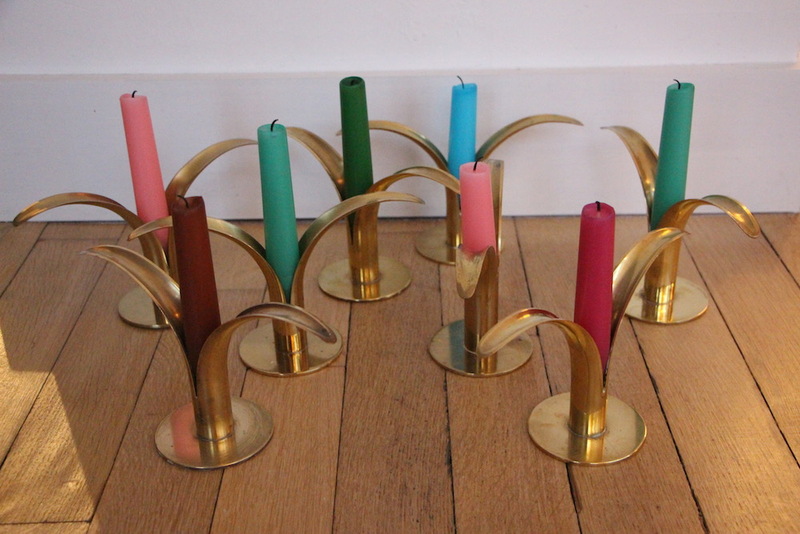 These midcentury modern brass candlesticks are reproduced today but not by Ystad Metall. Pay attention when you buy a pair of these to make sure you have the original pieces and not a reproduction, or worse, a copy. 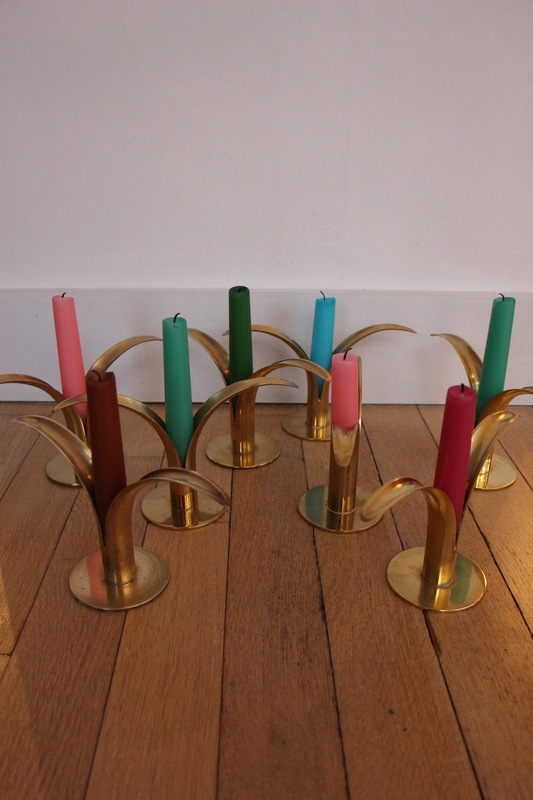 These candlesticks look great all year round. I enjoy mixing the color of the candles and change these according to my mood and seasons. They are real eyecatchers and look very chic even without a candle on a nice piece of furniture. Very decorative. I keep buying these whenever I see them.